A soccer referee was beaten, stoned, quartered and beheaded. 37 million bees were found dead in Ontario. A 5,000 year-old pyramid was destroyed by construction workers in Peru. Aristocrats in the 1700s hired "ornamental hermits" to live in their gardens. They also built "pleasure dairies". Alice Munro quit. The King of Belgium quit. John Baird had a "BEARS FOR MULCAIR" sign. Buttercup the duck got a 3D printed foot. Some rocks are alive. German scientists built robot apes to explore the moon. German trains broadcast advertisements directly into their passengers' skulls. The BBC explained why you think your phone is vibrating when it isn't. Denise Huxtable pulled off looks you can't pull off. The Toast paraphrased the comment section of every article ever written about intimate grooming. 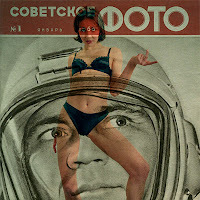 Soviet propaganda was remixed with nudes. The American flags on the moon turned white. Nardwuar got profiled by Slate. The Bloor Viaduct will be lit up with lights. A volcano looked beautiful from outer space. Milton Friedman came up with the dumbest idea in the world. A Tory MP wants Turks & Caicos to become a Canadian province. Canada might be investigated for committing war crimes in Afghanistan. There was Feminist Jose Bautista.